This weekend, acclaimed poet David Lehman will make not one but two appearances in the Queen City. The Best American Poetry series editor-in-chief will travel from New York City for a reading at the Painted Word Poetry Series at the University of Vermont and at the Friday-evening opening of the Burlington Book Festival. Founded and directed by Seven Days film critic Rick Kisonak, the book fest is Thursday through Sunday, September 14-17, at multiple city locations. It presents talks, readings and book signings with authors from Vermont, such as Philip Baruth, Tina Escaja and Angela Palm, and beyond, including poet laureate of Virginia Tim Seibles, prize-winning poet and critic J. Mae Barizo, and memoirist Melissa Febos. And, back by popular demand, the Boston Typewriter Orchestra clickety-clacks in concert at Burlington City Hall Auditorium on Saturday night. While literature is lauded downtown, poetry takes the stage up the hill at UVM. Lehman reads his work and talks with listeners in John Dewey Lounge, Old Mill Building, on Friday afternoon. Since 2008, UVM professor and poet Major Jackson has invited poets to campus for the Painted Word readings. "The series was initially conceived to showcase local New England poets," Jackson says, "but eventually became attractive to poets of national repute. So, we aim for a balance and diversity of voices and experiences." Poets Willie Perdomo and LaTasha N. Nevada Diggs will read on September 21 and November 30, respectively, at the Fleming Museum of Art. Jackson praises the participants in the series this year. He calls New York City-based Diggs an "extraordinary poet," noting her collaborations with jazz artists such as pianist Vijay Iyer. Puerto Rican Perdomo, he notes, "will appeal to all, but especially to the Latino/Latina Americans in our community." As for Lehman, Jackson calls him "one of the most important guardians of American literature." Lehman initiated the Best American Poetry series in 1988 to highlight new verse. Each year, guest editors select 75 poems from as many publications. Inclusions in this year's collection, edited by former U.S. poet laureate Natasha Trethewey, originally appeared in diverse publications — from BuzzFeed to the Kenyon Review. Lehman pens an introduction, drawing on the complexities and similarities of all 75 poems, to comment on the state of poetics, and the country, at the time of publication. This year, his introduction dives into unexpected milestones of 2016, such as the Chicago Cubs winning the World Series, Bob Dylan receiving the Nobel Prize in Literature and Donald Trump becoming ... well, you get the idea. A recent unexpected loss in the poetry world was the death of John Ashbery. The writer was a close friend of Lehman's, a celebrated American poet and guest editor of the inaugural issue of Best American Poetry. Seven Days spoke with Lehman by phone about Ashbery, speaking in public, and fine writing. SEVEN DAYS: Could you tell me about the efforts you've made to commemorate John Ashbery in this last week? 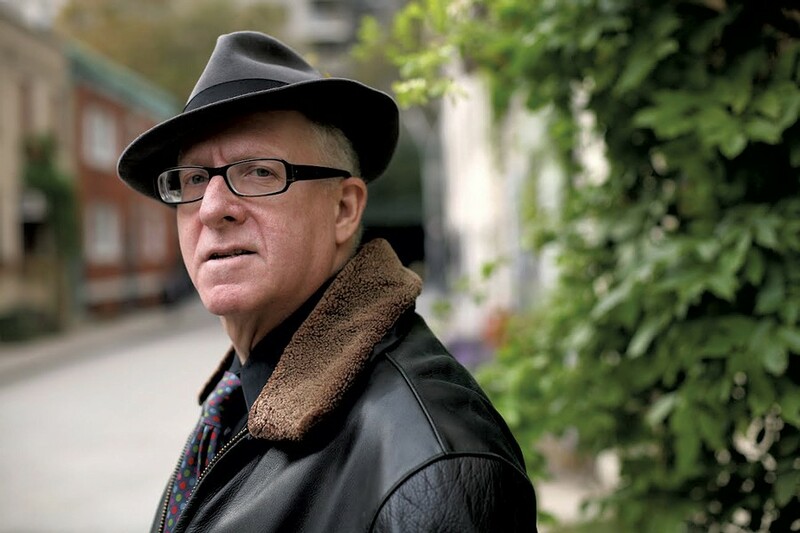 DAVID LEHMAN: I wrote a piece for American Scholar, for which I write a weekly column, and we've posted on the Best American Poetry blog many reminiscences of people who were close to John. I think we've approached several dozen and have already posted really good notes from Archie Rand, the painter, Michael Malinowitz and Evelyn Horowitz-Malinowitz, the obituaries [by] Mark Ford and Olivier Brossard and Andrew Epstein, and there's much more on tap. It's a way of cushioning oneself by transmuting energy that would go into mourning into something more creative and generous. I think it will be impossible for people with an indifference to poetry to witness the reaction and not come to the conclusion that this was a very special person. Poetry is written for a tiny section of the populace, but [Ashbery] was a towering figure for so many different people. SD: How often do you participate in events like this — the Painted Word series and the Burlington Book Festival? DL: I'm no stranger to these. They're usually very enjoyable occasions, because people who've gathered have an interest in poetry and art, and you get to see a lot of colleagues who you don't get to see [often] because they live in different places. You get to sign copies of books, which is very cheering for a writer. And, if you like performing, it's good. Some studies rank public speaking as people's biggest fear. They dislike it more than a visit to the dentist. I'm one of the luckier ones who regard public speaking as an extension of what I do; it puts me in contact with people and is something I enjoy. There must be a frustrated actor or singer in me. Columbia University had [its] own radio station, and one of my roommates was Robert Siegel, the voice of "All Things Considered." He was one of the major broadcasters on [Columbia's] WKCR. I did a show about poetry, and to make it work we tried to have not only interviews and taped readings of [people like] T.S. Eliot and Robert Frost, but figured out ways of getting music in there. SD: Have you spoken to Major Jackson about his new course? He's doing a poetry podcast with his students, I think. DL: No, but that's good. Poetry is always influenced by the most current means of communication. The typewriter affected poetry. That's very obvious in the work of E.E. Cummings or William Carlos Williams. And the telephone had an impact, the same as computers. From the view of building an audience, you use whatever the newest means are. SD: In the introduction to Best American Poetry 2017, you mention that the Kenyon Review and Ploughshares are "on the honor roll" for having contributed more poems to the series than other publications. Is that consistently true through the years? Do different publications come to the forefront despite changes in editors? DL: It changes every year. One year it was the New Yorker magazine that gave us the most poems. Another year, recently, it was something called "Poem a Day" from the Academy of American Poets website. Ploughshares and Kenyon Review are excellent magazines, and often we have printed poems from them. There are many distinguished magazines in the country that don't get enough credit. I think a subsidiary objective of the Best American Poetry [series] is not only to bring poetry to the fore but to acknowledge the magazine[s] that published the poetry. SD: What are you reading right now? DL: I was just reading a collection of poems that hasn't yet been published, by a young woman who is an outstanding poet and asked me to write a blurb for the back of the book. I was rereading [Fyodor] Dostoyevsky's Notes from Underground, Virginia Woolf, some of her essays, and I was reading a book [by] Aldous Huxley called Point Counter Point. I just reread some Ashbery. And the other day I read through Best American Poetry 2017. You've read it all with an eye toward fixing errors, and then you read the book [once it's published], and you find an error in your forward. But, aside from that, you're enjoying all the poems and the way they interact, like sitting next to each other on barstools having conversations while sipping cocktails. The original print version of this article was headlined "Double Duty: Poet David Lehman Appears in Burlington This Week"